in partnership with the Partnership for Nutrition in Tanzania (PANITA) and Development Media International (DMI) is implementing a five year program (from 2015 to 2019/2020) for Addressing Stunting in Tanzania Early (ASTUTE), to improve early childhood development and reduce the prevalence of stunting (low height for age) among Tanzanian children under 5 years old with focus on the first 1,000 days of life from conception. ASTUTE aims to operationalize Tanzania’s National Nutrition Strategy at scale by reaching three million mothers and preventing stunting in 50,000 children in 5 regions named Mwanza, Kagera, Kigoma, Geita and Shinyanga. In addition, IMA is partnering with Tanzania Food and Nutrition Center (TFNC) and Cornell University to implement operations research to assess the quality of ASTUTE interventions. ASTUTE relies on community health workers (CHWs) to implement a significant portion of community-based programming, which includes negotiation of behavior on recommended practices through a home visit model. This research will assess 1) what factors affect implementation and quality of CHW delivery of interventions, including CHW success in reaching and targeting priority families and perceptions of the home visit messaging. In addition, this research will also 2) examine household dynamics such as decision-making which may affect attitudes and practices of recommended behaviors. 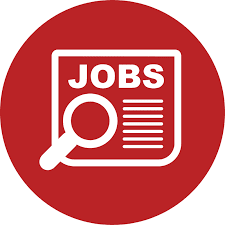 The ASTUTE program is looking for a team of male and female qualitative interviewers who will be based in rural areas of the Kagera and Shinyanga regions. The position is initially for 4 months, with the potential to extend another 4 months. Females are encouraged to apply. Qualitative interviewers will work closely with and report to the Research Supervisors and Research Coordinator. They will be responsible for interviewing community members on maternal, infant, and young child nutrition, gender relations, resource allocation, and decision-making within the household. The will also be responsible for interviewing Community Health Workers (CHWs) and CHW supervisors on their perceptions of the ASTUTE programming. The interviewers are expected to accomplish the following duties. 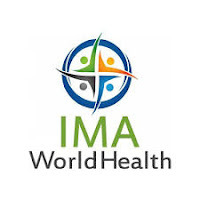 IMA World Health (IMA) is an international nonprofit, faith-based organization (FBO) with the core vision on health, healing and well-being for all targeting the most vulnerable and marginalized people in the developing world. IMA has long working relationship with the Ministry of Health Community Development Gender, Elderly and Children (MOHCDGEC) to control and eliminate neglected tropical diseases (NTDs) through morbidity management and mass drug administration campaigns in the endemic regions of Mainland Tanzania. IMA and the MOHCDGEC are jointly implementing ‘SAFE’ program to eliminate blinding trachoma in Mtwara and Pwani through trachomatous trichiasis (TT) surgery under funding support from the UKAID- Department for International Development (DFID). Whom are we looking for? We are looking for a creative and organized Project Officer(s) to join our team, taking the lead on TT outreach activities to achieve the national elimination threshold by 2020.With high expectations by the organization, the candidate must be self-sufficient with good analytical and problem solving skills. The working station will be Dar-es-Salaam- IMA Country Office, with frequent travel to Mtwara & Pwani Regions and or elsewhere in the mainland Tanzania to support government efforts to eliminate TT by the year 2020. Dar-es-Salaam; Application should include your updated CV with three contactable professional referees, copies of certificates and detailed cover letter on how your experience matches the post. Application which does not include all of these details will not be considered.